Mercer ends his 15-year-long run as host of the Rick Mercer Report tonight, Tuesday, April 10, on CBC Television. He joins Tom Power live in the q studio to say goodbye. 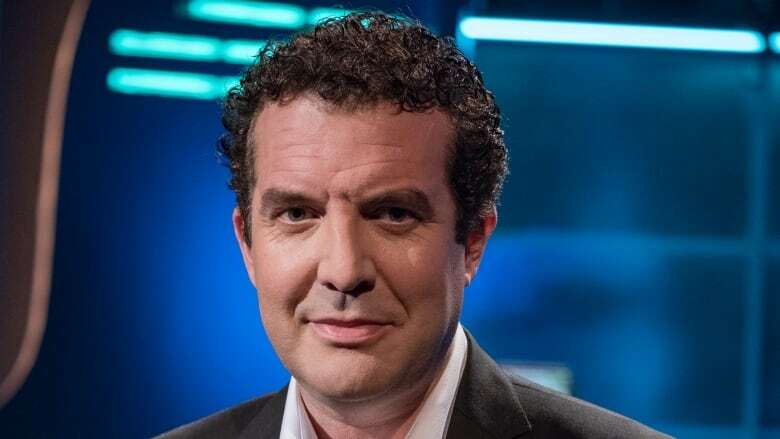 Tonight, comedian Rick Mercer ends his 15-year-long run as host of the political satire show, theRick Mercer Reporton CBC. Mercer has been a guest on q a few times to look back at his career in politics and comedy, and even announced that this would be the last season of the Rick Mercer Report on q in 2017. Now, Mercer joins Tom Power to talk about tonight's final episode, an hour-long special that he says embodies everything that he believes is good about the show. "The celebration of Canada, the celebration of small towns, the people that you find in those small towns, and lots of funny, lots of stunts," says Mercer. "All the things that I think the show is good at, all comes together in one great hour." As for what's next, Mercer says he'll be heading to Newfoundland. "I built a cabin there. I've always had this vision of going there and gazing out at the sea, drinking a cup of tea and contemplating what's next. And then I figure, five minutes of that, I'll play with the radio for a bit and then I'll probably go back to the airport. I don't know! I honestly don't know what's next, but it's exciting." One thing Mercer wants to reassure his audience of is that this is not the end. "I'm not retiring. But I'm just super proud so it's a great way to go out." The Rick Mercer Report's final episode airs on Tuesday, April 10 at on CBC TV.